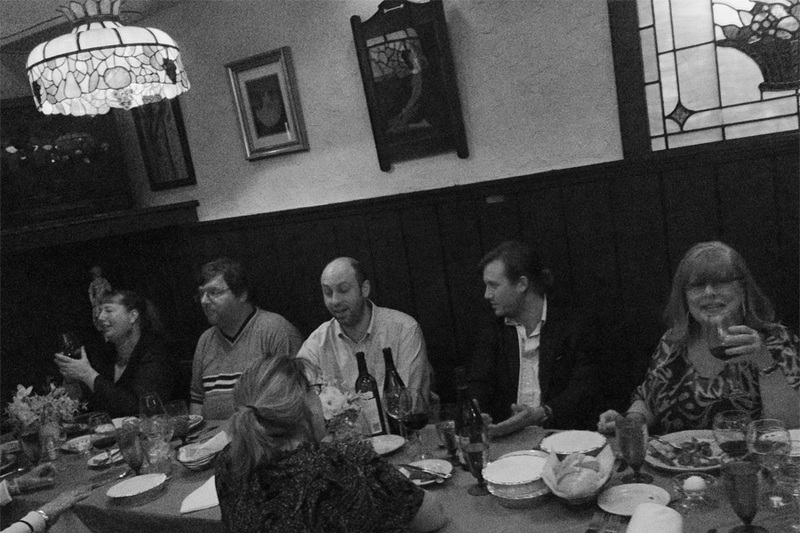 We celebrated the vernal equinox at Nino’s on March 20th with a four-course dinner. I cooked the dinner for ten with the help of Marietta and our server, Eli. 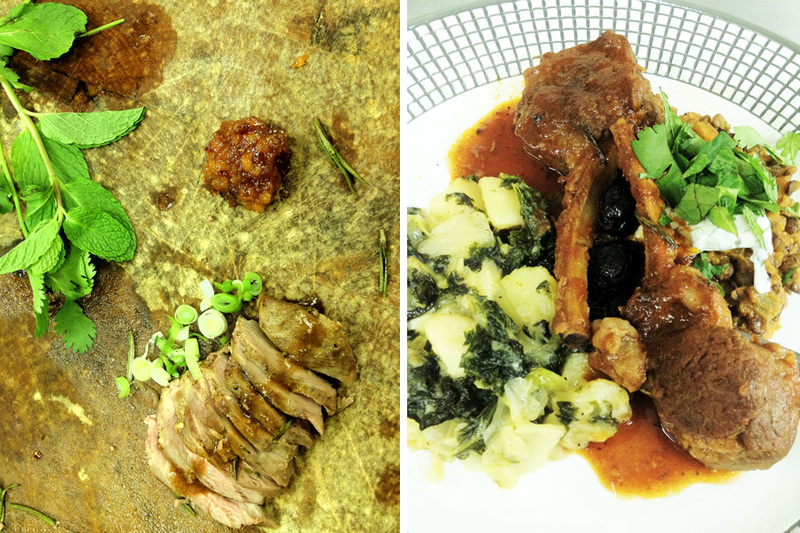 When planning the menu, we looked into traditional foods used to celebrate spring, and I incorporated some elements of folklore into the meal. Vases filled with clipped forsythia and daffodils from the garden provided additional proof that spring had arrived. In Italy, fresh baby artichokes are a sign of spring. Every April, this member of the thistle family is celebrated in Tuscany at the Sagra del Carciofo Artichoke Festival. Our nod to the spring artichoke took the form of an artichoke tortino, which we served as our first course. A tortino is similar to a frittata, but thicker, usually with the addition of cream, cheese, or flour. We made fresh ricotta to accompany the artichokes in our tortino. 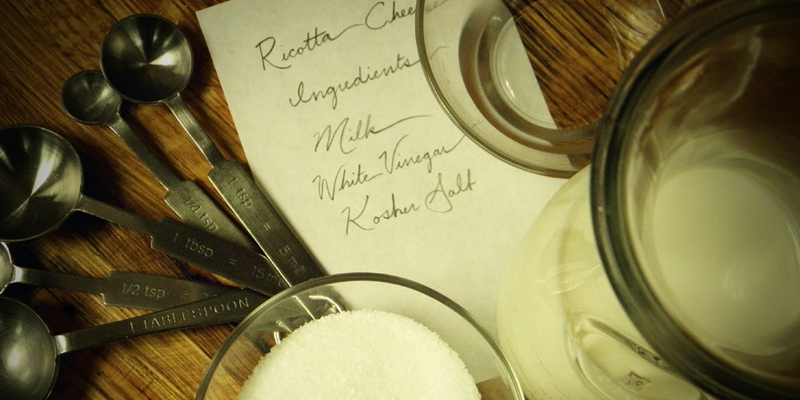 Ricotta is easy to make and only requires whole milk, vinegar, and salt. Fresh, homemade ricotta has a sweetness that I’ve never tasted in the store-bought varieties. It gave an airy richness to the eggs, and we also added grated pecorino romano for a hint of salt. Alongside the tortino, we served a few baby artichokes sautéed with white wine and capers. 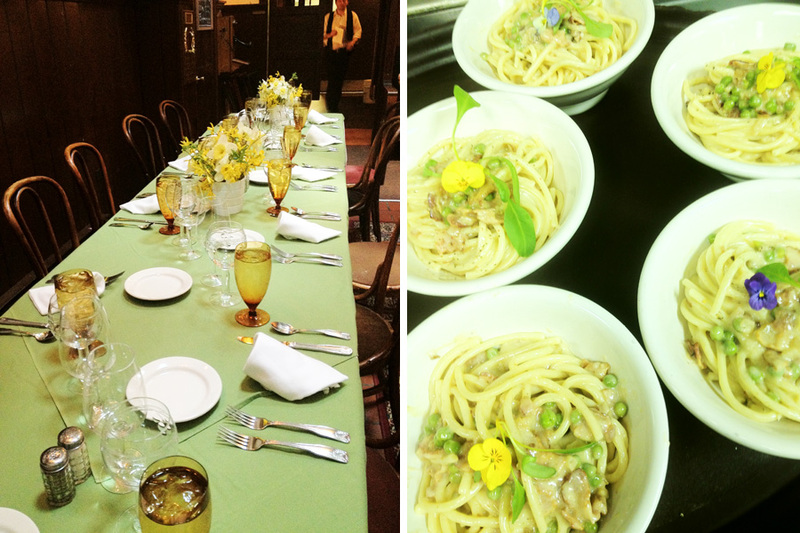 Our second course was perciatelli carbonara. Perciatelli is a delicious noodle, similar to a thick spaghetti, but hollow: with a hole through the middle like a straw. For the pasta carbonara, I browned bacon, then carmelized shallots with a teaspoon of garlic. To the bacon and shallots, I added sweet peas and butter. The carbonara sauce consists of butter, parmigiano reggiano, and egg. Our salad course featured fennel bulbs, thinly sliced and included in fresh spring rolls filled with roasted duck breast, mint, cilantro, and pickled dandelion greens. 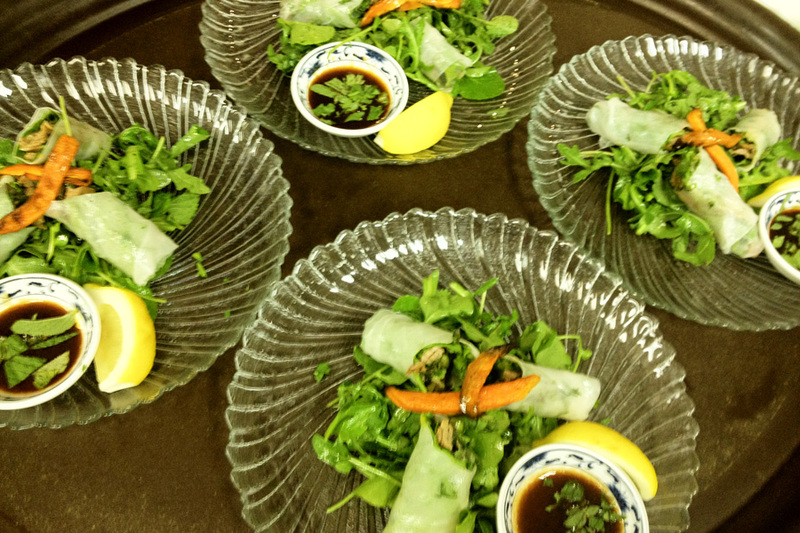 The spring rolls were served with an apricot marmellata over a bed of fresh, local watercress and arugula. Sprouting chard from the garden garnished our plates. For the main course: lamb chops. We prepared them as we do in my family each year for Easter, seared in olive oil then braised in a light tomato sauce with rosemary and oil cured black olives. Lentils were another symbol of spring we incorporated in to the dish: French green lentils cooked with carrots, onion and sage, served with mint yogurt. As I cleaned artichokes, stirred ricotta, and braised lamb, I felt connected to these signs of spring. As we embark upon a new season, it’s fitting to reflect on the cycles of the year, and also the cycles of traditions we engage in year after year.